Russell has been at it again! 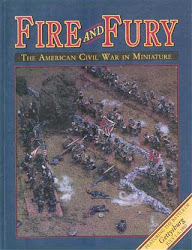 This time with his artillery and then some shots of Johnson's Division. First two are my share of the six guns in 2nd Corps Artillery Reserve. 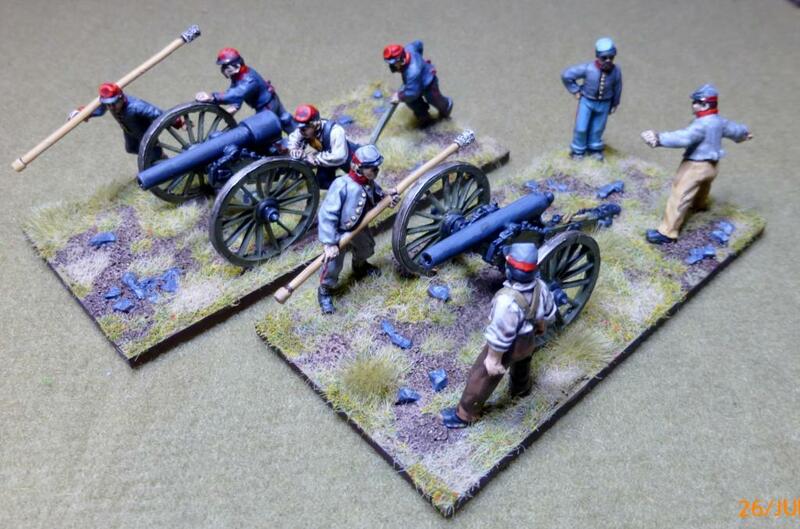 I have converted one into a 20pdr Parrott gun, the biggest pieces for both sides. The Rockhampton (Va) battery in the 2nd Corps reserve had 4, and the Lynchburg (Lee) Battery in Johnson's Division had another 2, as well as a 3" rifle and a 10pdr Parrott. 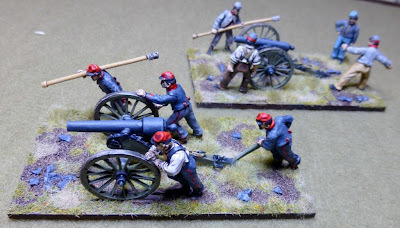 I used a 12pdr Napoleon barrel as the base, filing off the barrel mouth lip, and an aluminium and a brass tube to build up the breech reinforcing ring, the signature of the Parrott artillery pieces (they still burst with alarming regularity). Also two shots of the assembled Division and Johnson leading them. 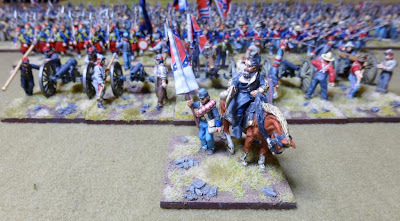 42 infantry bases with 236 figures, 5 artillery pieces with 20 crew, Johnson and his orderly. 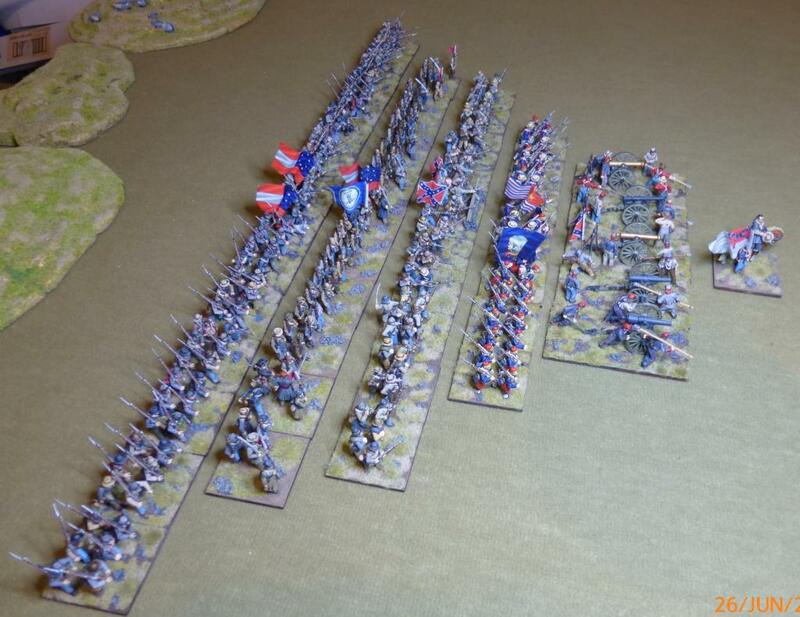 Absolutely fantastic painting and beautiful base work Russell. 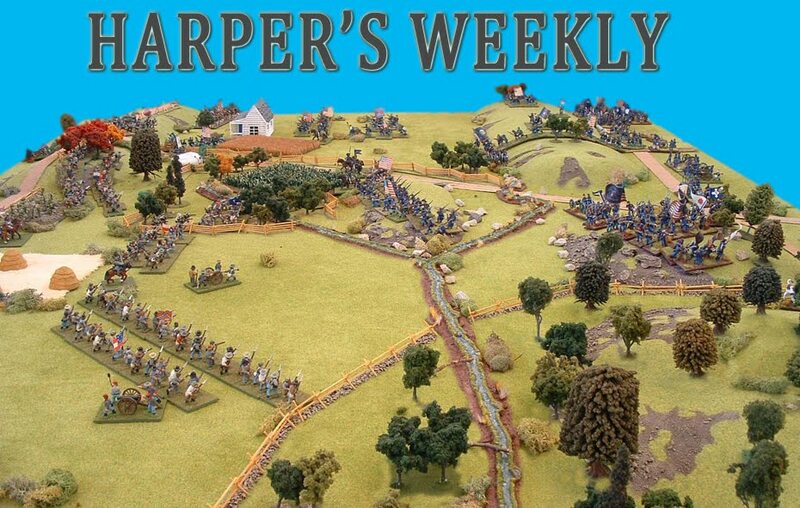 If you haven't already been over to Craig's Wargaming Blog then go take a look at the wonderful work that Craig has done on Hood's Division. There are a lot more photos of Craig's very fine work on his blog. 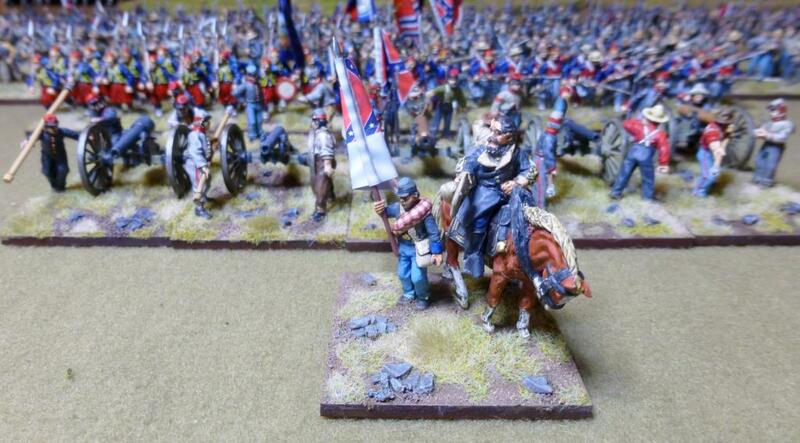 Now that's an impressive amount of nicely painted figures! 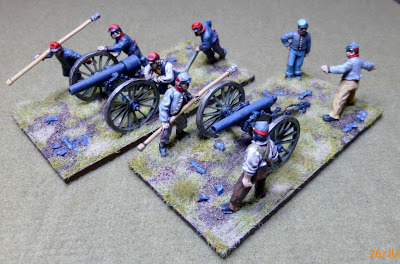 Great looking units, no doubt! Impressive amy ! , Great paint on this . Thanks all. Looking forward to joining them with every one else's efforts the weekend after next. Outstanding work Russell- look forward to seeing them in the flesh so to speak next week. 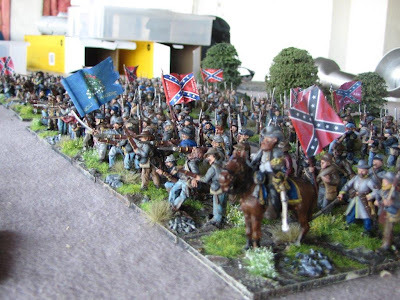 You march from one side, I'll come from the other and we'll meet in the middle and bisect the Army of the Potomac in the process! That's the sort of talk we need! I notice the Union players are very quiet! 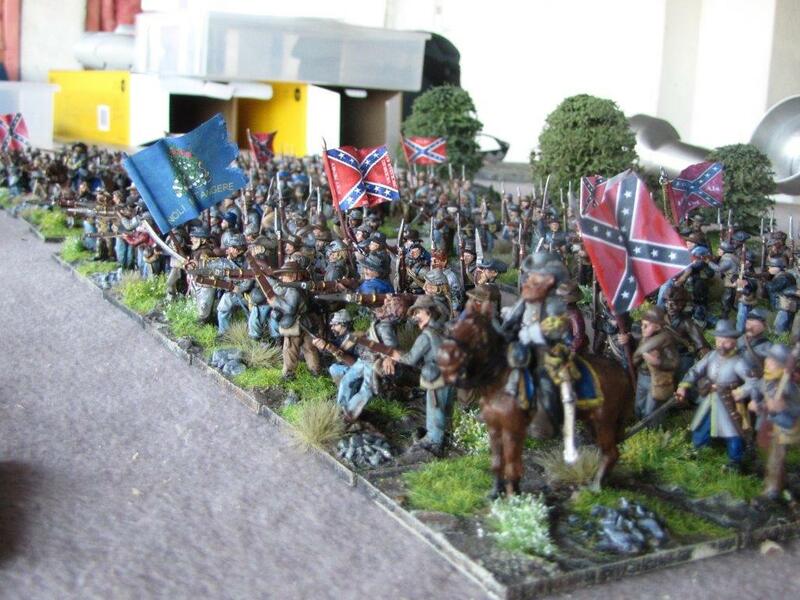 Us union boys like to do our talking on the field of battle and leave the jaw'in to you Damned Rebs! Beautiful figs all the same Russell. Not long till we see if they can fight as good as they look.